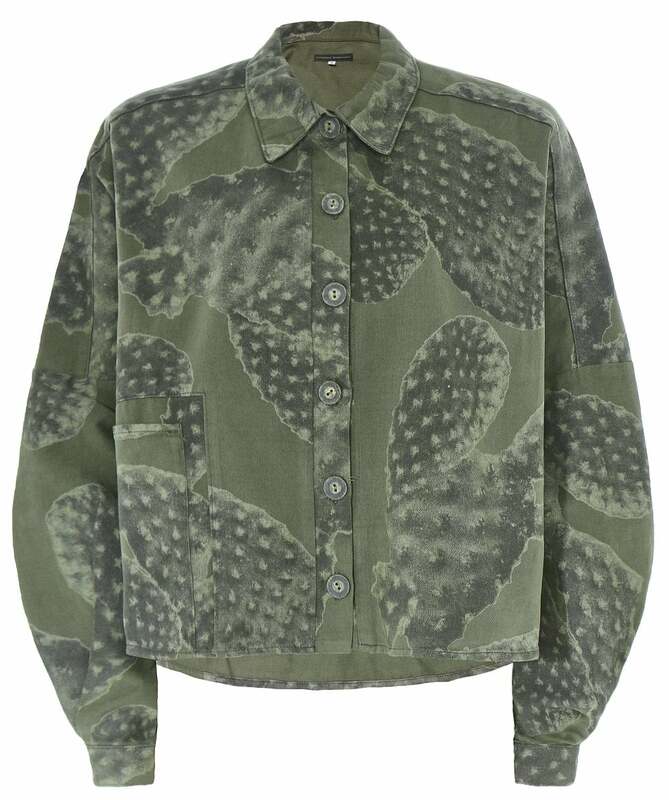 Expertly crafted from 100% cotton, the Lurdes Bergada Cactus jacket offers a contemporary aesthetic with its unique design. This lightweight oversized jacket boasts a casual shirt style with batwing sleeves, a dropped hem and an oversized pocket and is perfect for trans-seasonal styling. Pair yours with jeans and trainers for a relaxed yet stylish look.